"U.S. employers added more workers to their payrolls than expected in January as hiring picked up in retail and construction-related industries, though wage growth remained soft. The figures give President Donald Trump’s administration a higher jumping-off point for its plan to stoke further economic growth, while at the same time giving the Federal Reserve more breathing room when it comes to raising rates. 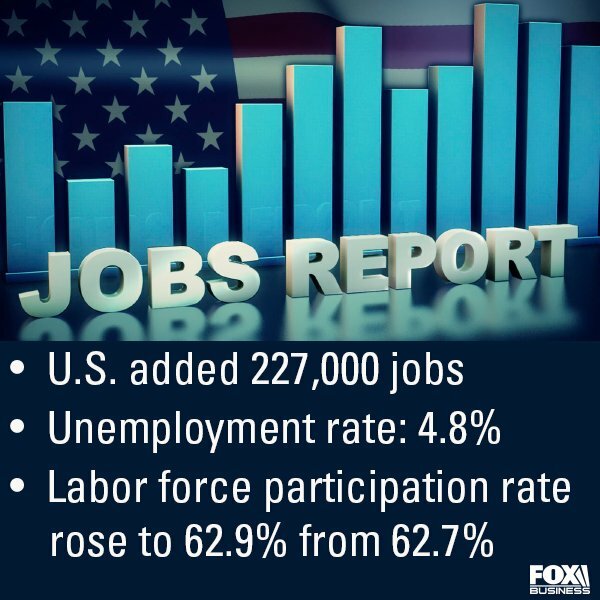 The economy added 227,000 net new jobs last month, easily beating Wall Street estimates for a gain of 175,000, according to data released from the Bureau of Labor Statistics on Friday. At the same time, the jobless rate ticked up to 4.8% from 4.7% in December as more people joined the workforce, sending the labor force participation rate to 62.9% from 62.7% the month prior."